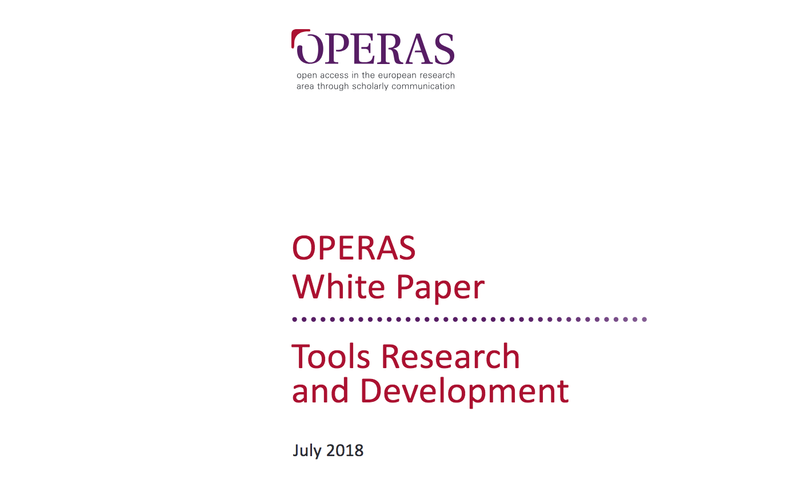 This white paper has been elaborated by the Tools (R&D) Working Group, one of the 7 Working Groups launched by the OPERAS research infrastructure. The Working Group goal was to set up a list of tools and development which need to be done, to improve their usability for the OPERAS partners. The approach in OPERAS emphasizes the importance of building the open science scholarly communication infrastructure in Social Sciences and Humanities on community driven tools. In this perspective, the development of Open Source tools and the setup of a toolbox appear to be appropriate answers to the existing needs and evolutions in scholarly publishing.